Some big changes are on the way for Microsoft's Windows Phones, thanks to the Mango update coming this fall, but what about hardware? 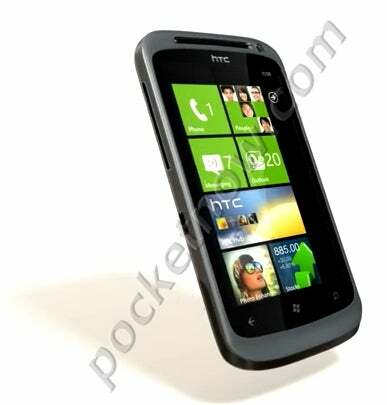 An HTC Windows Phone with a 16-megapixel camera, as seen in a YouTube video posted by PocketNow. No other details are available. The HTC Eternity, with a ridiculous 4.7-inch screen, 1.5 GHz processor, 8-megapixel flash-equipped camera, DLNA support and microHDMI out, as reported by WMPowerUser. The HTC Omega, a mid-range smartphone with a 3.8-inch screen, 1.5 GHz processor, 8-megapixel flash-equipped camera and DLNA support. HTC hasn't said when its first Mango phones will appear, but if these rumors are correct, HTC will be hitting some extremes in the spec department. Dell's Windows Phone plans are a bit murky now, considering that Microsoft didn't mention the company among its list of upcoming hardware makers on Tuesday. Microsoft later clarified that Dell simply isn't one of the "partners ready to go" with the new software -- itself a rather vague statement. 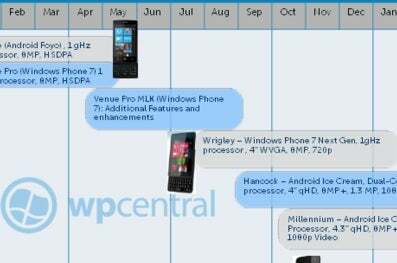 At one point, Dell did have a "Next Gen" Windows Phone on the way, according to a leaked roadmap obtained by WPCentral. The "Wrigley" had a 1 GHz processor and 8-megapixel camera with 720p video capture. But the fate of this phone, and Dell's Mango plans in general, remains unclear. Nokia, of course, is the one to watch for Windows Phone devices. A big partnership between Nokia and Microsoft will likely bear its first fruit this year. Nokia expects to meet its goal of launching a "small portfolio" of Mango-equipped Windows Phones this year, Forbes reports. And what about those Nokia Windows Phone concept renderings that appeared in February? Jo Harlow, Nokia's head of smart devices, told Fortune that they're "not characteristic" of the company's finished products. Harlow stressed that Nokia will try to differentiate itself through hardware innovation. I wish we had more concrete details on future Windows Phones, but right now the rumor mill is running dry. Hopefully that'll change as Mango's fall release draws closer.